This is our friend Shawn. 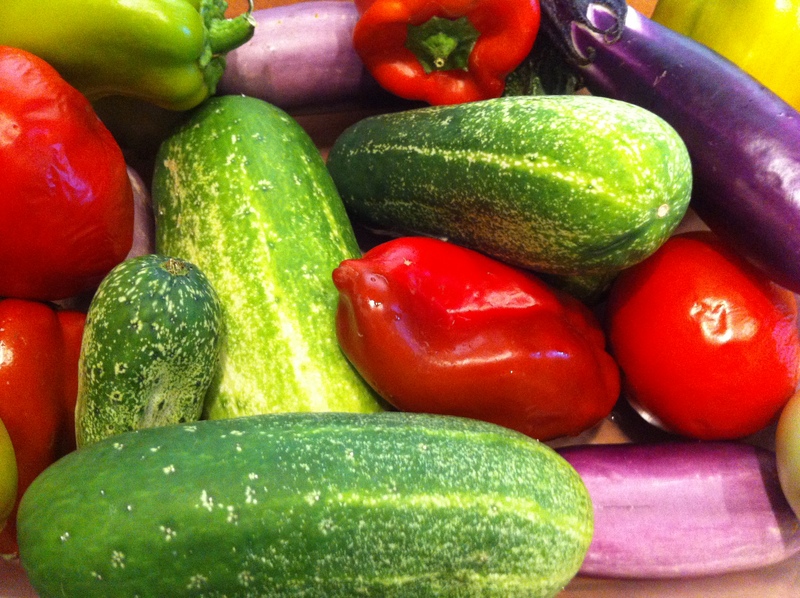 He grew those cucumbers, and then turned them into pickles. 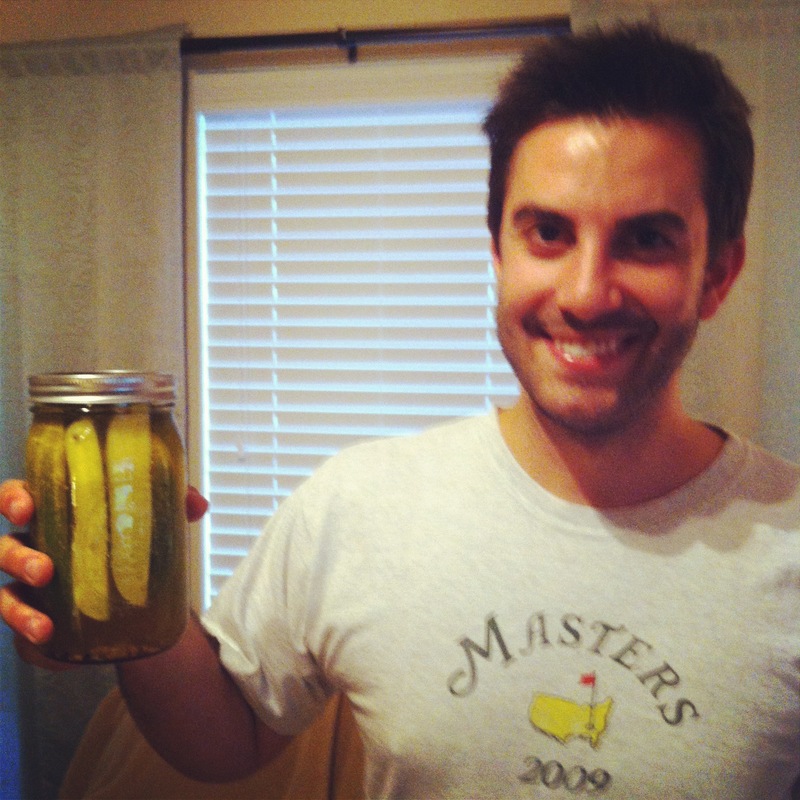 Homemade pickles. I mean, seriously? This city boy has a garden that the Green Giant himself would covet. These garden goodies have been great on our salads and just cut up with some ranch dressing, but I wanted to use them for something a little more creative. 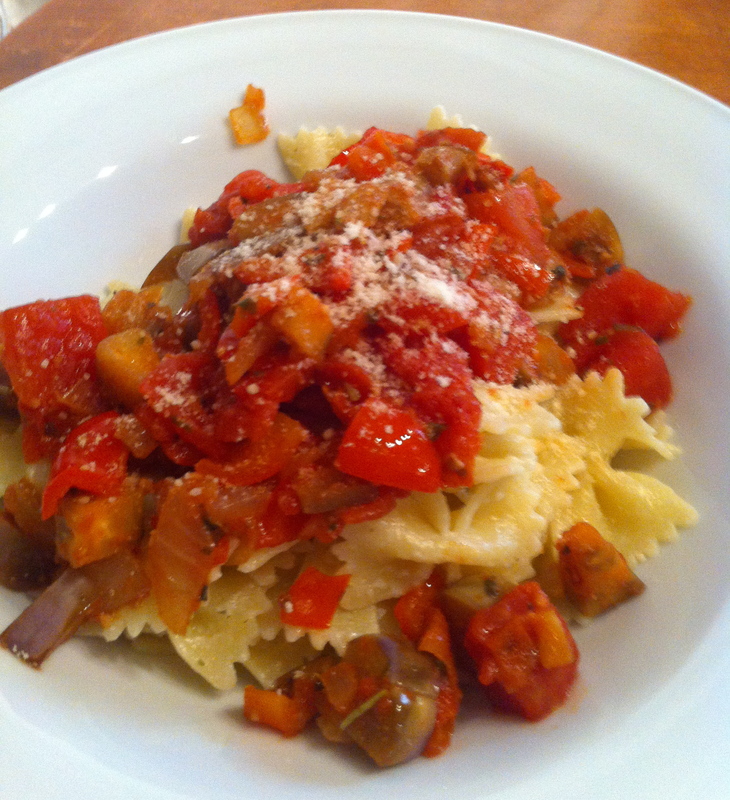 Cue… Pasta with Veggie Sauce. Two things are going to be happening here. 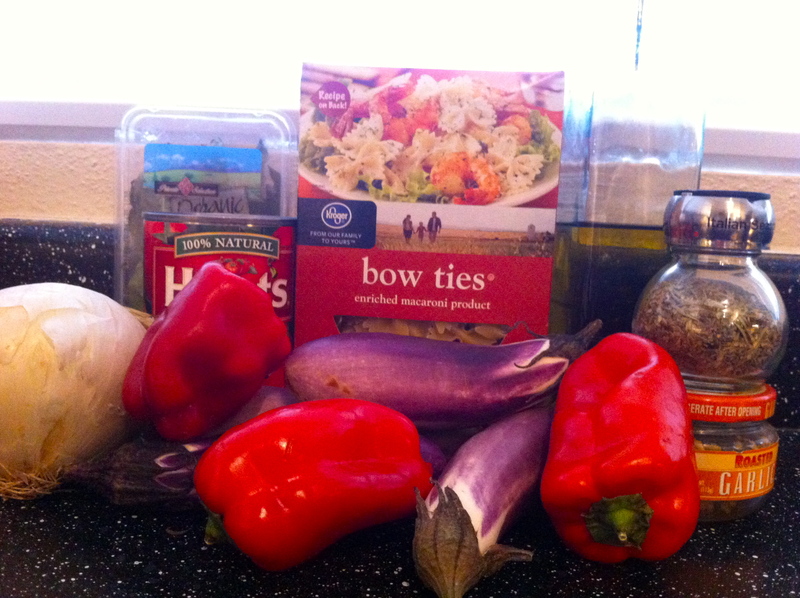 First, you need to cook some bow tie pasta. Boil, cook, drain. You got it. 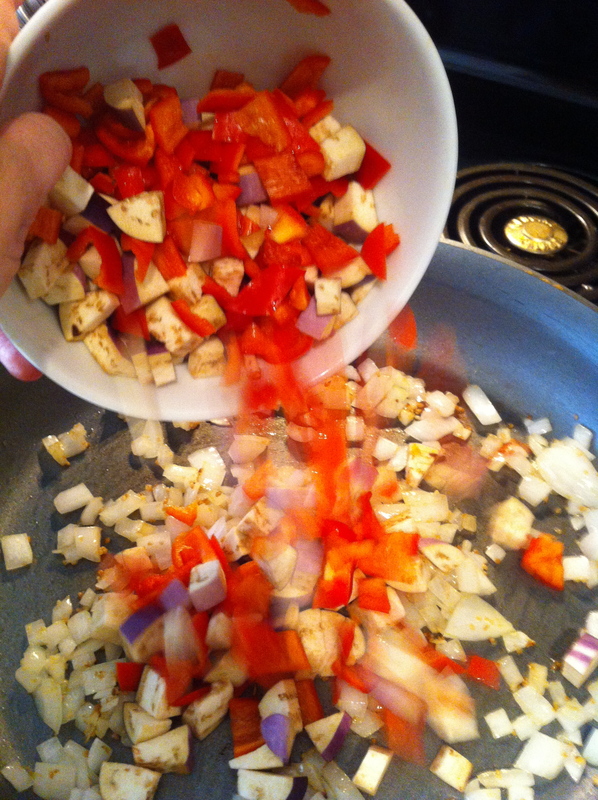 While that is happening, you can make the veggie sauce. Yum! Start by heating some olive oil on medium heat. 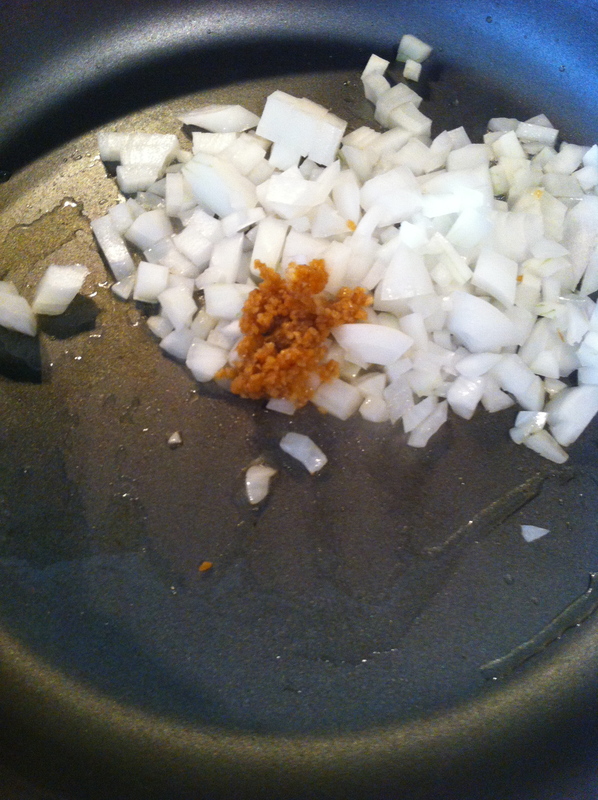 Add 1/2 diced white onion and a hunk of minced garlic. The more garlic, the better. 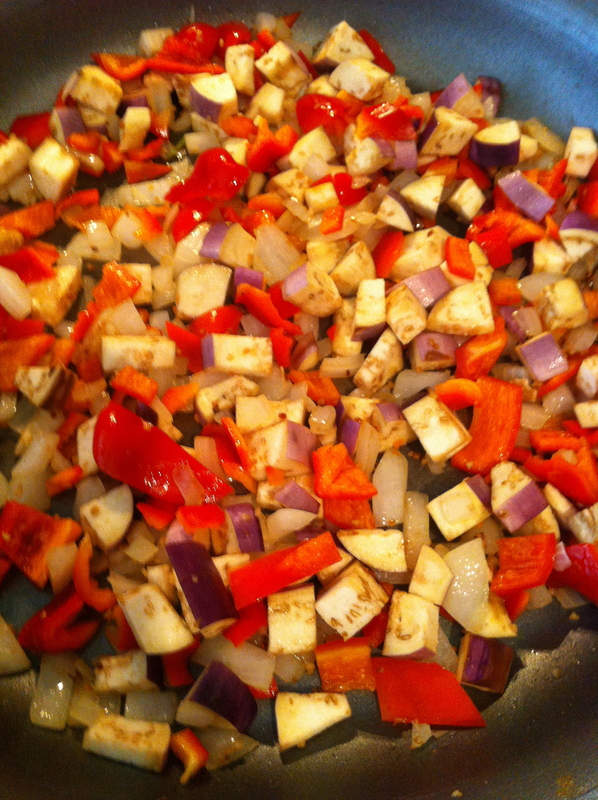 Cook for about 3 minutes, and then add 2 chopped eggplants and 2 chopped red bell peppers. Cook and stir until the eggplant browns up nicely. 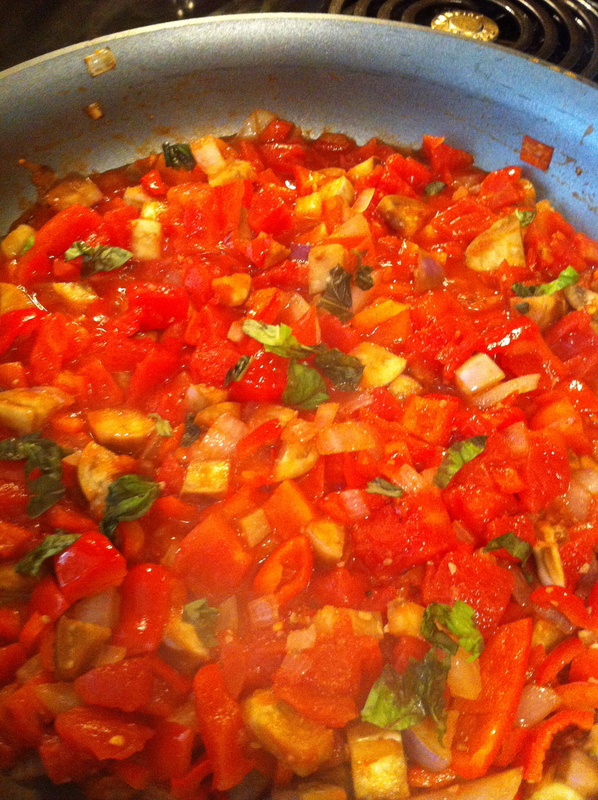 When the eggplant has browned, add 1 can of diced tomatoes, and a handful of chopped fresh basil. Add about 2 tablespoons of italian seasoning and let simmer. You want the juice from the canned tomatoes to simmer out. If you are like me, you also add more garlic here. Just because you love garlic… and the only person smelling your breath tonight is your husband. He’s stuck with me, regardless of my stanky breath. At this point, my pasta had finished cooking. I saw that sad, lonely pasta, and I decided it needed some cheese. I took 2 triangles of Laughing Cow cheese and stirred it in with the bow tie pasta. It got all melty and gooey and awesome, and was the perfect base for this sauce. I did not take a picture of this. I was too enamored with the melty cheese. My apologies. 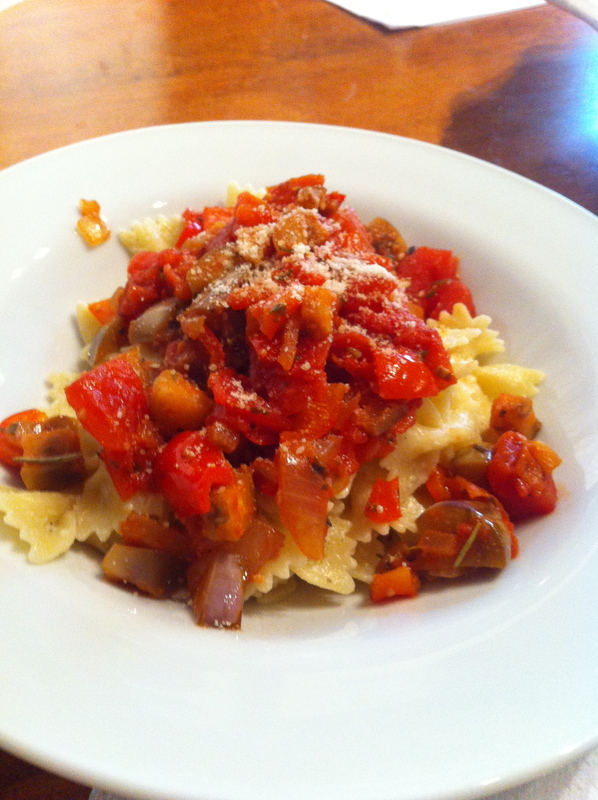 When your sauce has simmered out most of the tomato juice (about 10 minutes), ladle some on top of the pasta. Sprinkle with grated parmesan cheese.